I passed my driving test almost two years ago but as I live in the centre of Edinburgh, I have everything on my doorstep and a car is not entirely necessary. So, when a road trip offer comes around, I'm always the first to say yes! Edinburgh is a very busy city with lots of shops and attractions within walking distance, so my family and I tend to opt for a drive outside the city for a change of scenery. 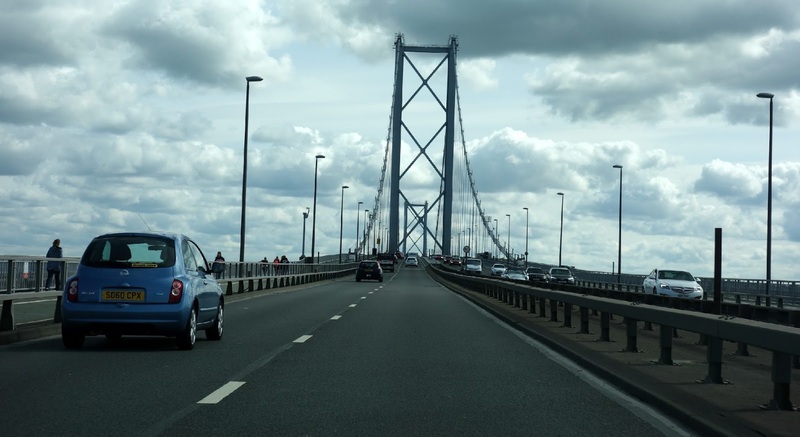 Our favourite locations include Dunfermline and North Queensferry, as it involves a beautiful drive across the Forth Road Bridge. 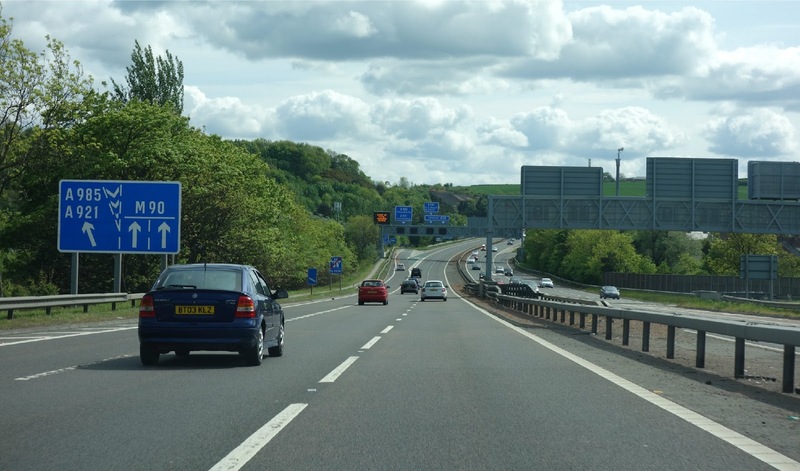 We all know driving can be dangerous, especially on long journeys and in areas which you are not familiar with, so I have teamed up with Joe Blogs and Age UK to share with you some road trip tips and essentials. 1. Is your car prepared? Make sure you have enough petrol for the trip or find a petrol station en route if you need to top up on your way there. It's also wise to get your car checked out by a mechanic before any long haul road trips for extra safety and security. 2. Make sure you are well rested and prepared for the journey. Familiarise yourself with the route beforehand and print off directions for a passenger to assist you if you get lost. Don't rely on mobile phones as there could be internet access problems in remote areas. 3. Stop regularly for a break and to fill up on petrol/snacks. I used to arrive home knackered after an hour's driving lesson - concentrating for long periods of time is exhausting! Ensure you take a break from driving often or swap with someone else who can drive to break up the journey. Petrol stations on motorways are generally quite expensive for snacks, so it's more cost-effective to pack water and snacks before you head off. In collaboration with Age UK, they also have created a more in-depth road trip guide and tips that can be read HERE. Have you been on a road trip recently? Which location is at the top on your road trip wish list? As a post-exam treat, my boyfriend surprised me with a spa day and afternoon tea date in Glasgow. I received the parcel through the post mid-way through studying for my final exam (where I was almost at breaking point!) and from that point, I was excitedly counting down the days. My exams had finished and the spa day was finally here, so, yesterday morning we caught the 10am train from Edinburgh to Glasgow and arrived at the Ocean Rooms Spa in the Hilton Hotel. We were both treated to a Swedish back, neck and shoulder massage followed by a manicure for myself and a men's facial for Ken. After our treatments, we spent an hour or so relaxing by the pool, making use of the Hotel's sauna and steam rooms before heading to the restaurant for afternoon tea. It's definitely our little tradition to book afternoon tea for every new place we visit together. A little village cafe near Edinburgh is a solid first rank winner, followed by the Beatrix Potter cafe in Windermere. 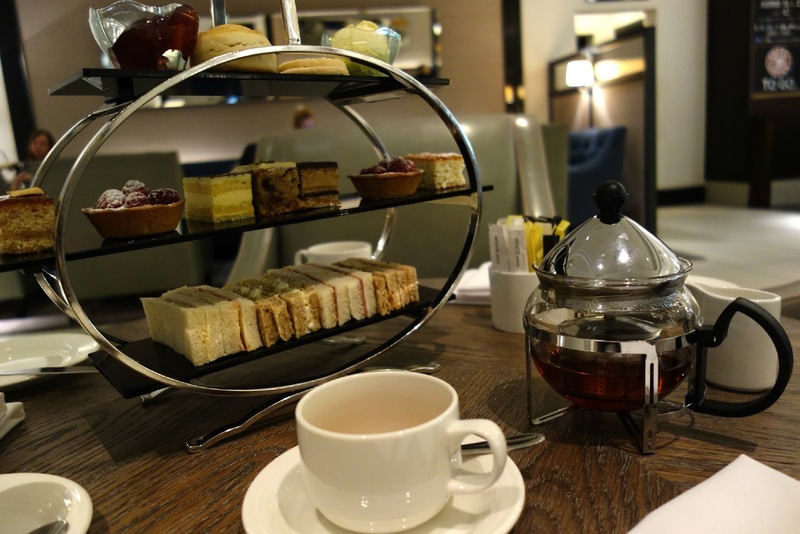 The afternoon tea in the Hilton was very pleasant, however as it was a set menu, I ended up passing over the salmon sandwiches and coffee cakes over to Ken. We then browsed the shops of Buchanan street, because what's a trip to Glasgow without having a look in Forever 21? It was clear by mid-afternoon we were both exhausted and a little too relaxed after our spa treatments, so we went into Darcy's in Princes Square for a quick caffeine fix. 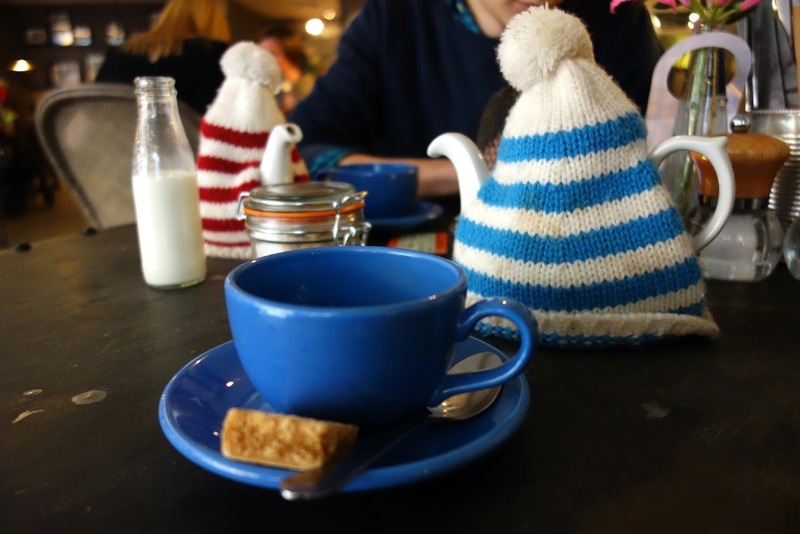 Our teas arrived in huge teapots with tea cosy hats which were too adorable to not take a photo of. 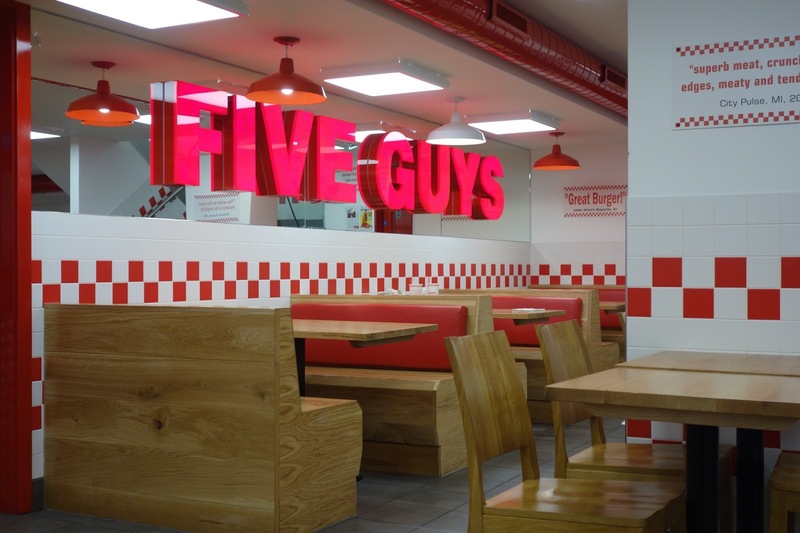 As exhaustion levels were high, we cancelled our table booked at Zizzi's later on in the evening for a quick trip to Five Guys. It's raved about quite a lot in Edinburgh and also by my American friends, so we thought we'd give it a try and were not best pleased. We both ordered a burger and chips each (without a drink) and were greeted with a sneaky tax add-on charge and a hefty £20 bill. The food wasn't too spectacular and it's fair to say we won't be visiting again any time soon. The food aside, we rounded off our perfect day with a trip to the second hand game/movie shop 'Cex' before catching the train back to Edinburgh. We picked up Call of Duty: Ghosts and Resident Evil 5 which has been played pretty much non-stop ever since we arrived home last night! What would be your perfect 'treat yourself' day? What's the best surprise you've ever received? Update | Where Have I Been & I'm Moving?! I completed my second year of University! Unfortunately, this meant I was slightly AWOL during April/May as I had to study for 6 of my end of year law exams. Thankfully, they're all over now and I have just under 4 months of free time before moving into my third year of University. 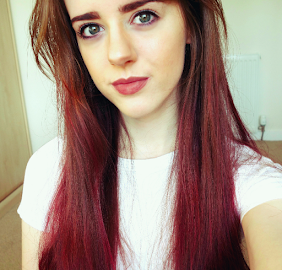 Although I've been absent from blogging for a while, I've managed to create a list of posts I'd love to write throughout the Summer, so I have an exciting few months planned. If you read my December Update post, you'll remember that I applied to study abroad during my third year of University and... I WAS ACCEPTED! So, as of September, I will be blogging from a small town named Leuven in Belgium. I'm super excited and have applied for my accommodation there already, so it's just a matter of waiting for my exam results, then I'm 100% ready to go! 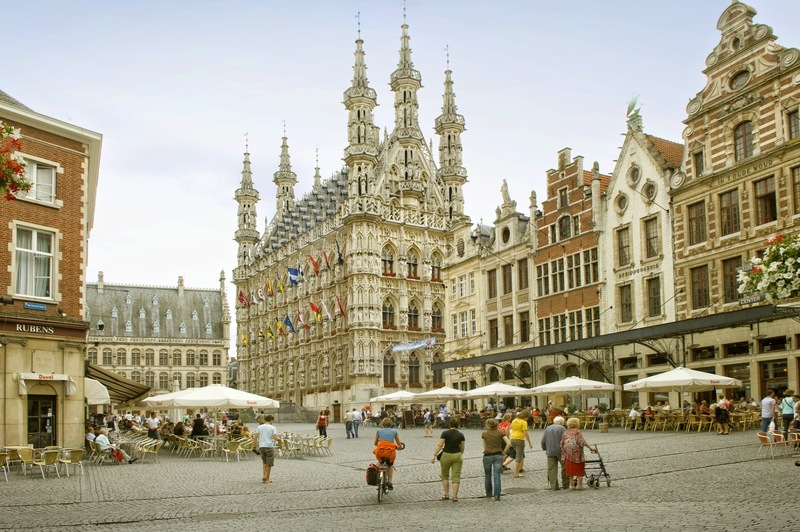 My family and I are hoping to visit Leuven this Summer to have a look around and let me familiarise with the area before I move in September - I can't wait! Besides that, I don't have any other plans for the Summer at the moment. I applied to work at the Edinburgh Festival last month and various places for legal work experience, which I'm yet to hear a response from, so I'm keeping my fingers crossed in the meantime. Do you have any Summer plans? Have you studied abroad before? I'd love to hear about your experience in the comments!